My placement in Universidad Carlos III de Madrid / Institute IMDEA in the department of telematics. We focused on "Performance Evaluation of IEEE 802.11aa MAC Enhancements for Robust Audio Video streaming", where we tried to implement the four new mechanisms as these defined by the task group 802.11 aa. Our main programming tools were the open source network simulator Omnet++ and Matlab. Implementation and performance evaluation according to the theoretical model were our main targets. 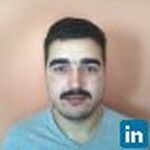 Join Today to follow and contact Theodoros Anastasopoulos.